The Tyre tells the story of Ranji and his wife Meena who are from a lowly caste in India. Illiterate and barely managing to scrape a living for life's essentials - food, clothing and a roof over their heads - they have no choice but to withdraw their son from education and send him to find work in a city far from home. When an enormous tyre falls from a passing truck, Ranji believes his prayers have been answered. Full of renewed hope for the future, he begins the arduous task of finding a buyer. He hopes the sale will make his and Meena's lives easier by using the profit to buy a second-hand bicycle. The Tyre is a delightful story of hope in the face of adversity. It's a social commentary on India's caste system - where the top flourish and the bottom, or dalit (untouchables), are stuck in poverty. It's about injustice, hopes and dreams, expectations and survival. Will selling the tyre really bring happiness to Ranji and Meena or does it already exist within them? Far from the usual type of books I normally read, this was a simple tale with a beautiful message. I'd like to thank C. J. Dubois, E. C. Huntley and David Haviland at Thistle Publishing for sending it my way. Barely managing to scrape a living gathering wood from the side of a busy road in Tamil Nadu, Ranji accepts his lot uncomplainingly. His one and only concern is to feed his beloved family and keep them safe in their hut beneath the banyan tree. 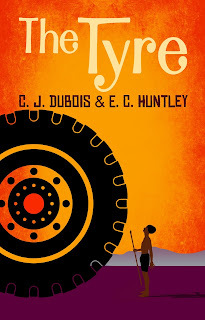 But when a huge new tyre falls from a passing truck, Ranji realises that this could change his life forever, and embarks on a quest to turn his good fortune into cold hard cash. But his growing obsession causes Ranji to neglect his beautiful wife Meena, who is struggling to resist the advances of the wealthy local brick-maker. And as Ranji’s formerly simple life fills with worries and conflict, he starts to question whether the tyre is in fact a curse rather than a blessing. A French citizen, Christian was born in Morocco, and lived in India, Belgium and Luxembourg, before settling in Provence. After studying architecture and business in Marseille and Paris, he worked as an architect specialising in Roman and Greek marine archeology - the subject of his very first book, published in 1976. He then moved into industry and joined a major petroleum company with whom he travelled around the world for many years. His observations and experiences from this time formed the basis of a number of award-winning short stories, as well as his first novel, Lignes de terre, which was published in 2011. He also continued to write non-fiction and in 2013, his biography Clot Bey, Médecin de Marseille, was awarded the Prix Félix de Beaujour by the Academy of Marseille. 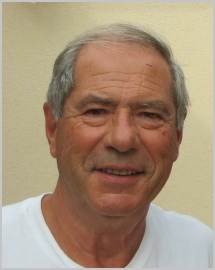 His second novel Le Pneu was published in France in 2015. 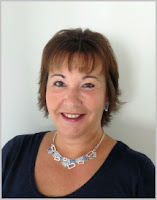 After completing a Psychology degree and spending a few years teaching English in Greece, Liz returned to England and started a sales career in educational publishing. She now works as Head of European Sales for a major international publisher and makes regular visits to about a dozen countries every year. While in the UK she divides her time between her home in North London and her seaside flat in East Devon. She has always read widely and realises that the novels that have stayed with her have all been set in exotic locations with strong characters at their heart. Creating the English version of The Tyre, which started out as a favour to a friend, has developed into a fascinating creative project.